Neutral - Can I Compost It? 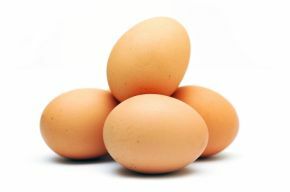 Before adding Egg Shells to your composter, rinse them out to remove any remaining egg white. Then crush the egg shells into small pieces. The reason for this is that egg shells do not decompose in the same way as a lot of organic material, they tend to just break down into smaller and smaller pieces. However eggshells are a great source of nutrients for your soil and provide some structure to your compost. Crushing them into small pieces gets the process of breaking them down off to a good start.